The module to the manifold, where there is a need to regulate the temperature of liquid in the system. 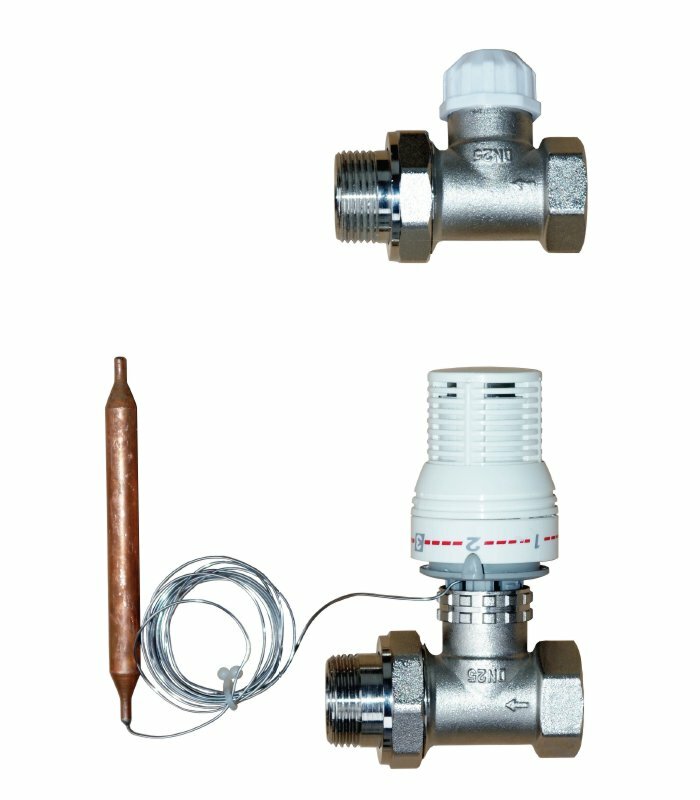 The module was used electronic pump Wilo Yonos Para RS-15/6 RKA and thermostatic mixing valves ESBE VTA 321. 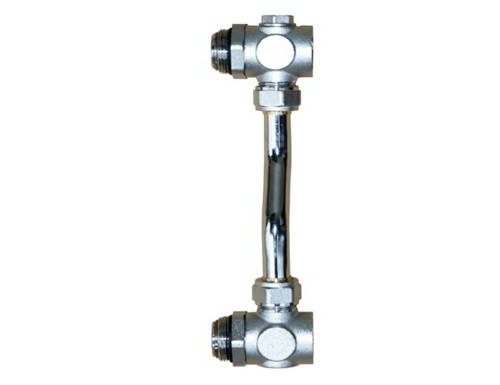 Universal spacing of 210 mm facilitates the assembly with any manifold. The module to the manifold, where there is a need to regulate the temperature of liquid in the system. 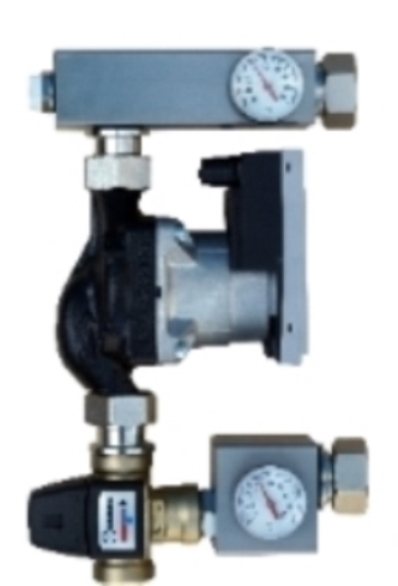 The module was used electronic pump Wilo Yonos Para RS-15/6 RKA and thermostatic valve with capillary. 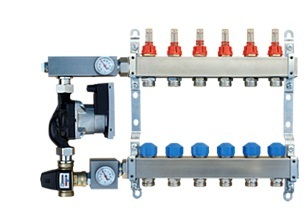 Universal spacing of 210 mm facilitates the assembly with any manifold. 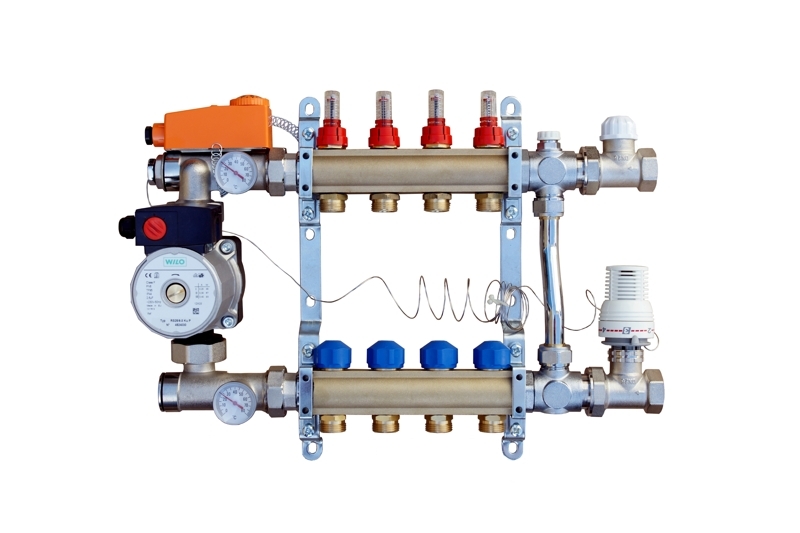 The module of the manifold, where there is a need to regulate the temperature of liquid in the system. 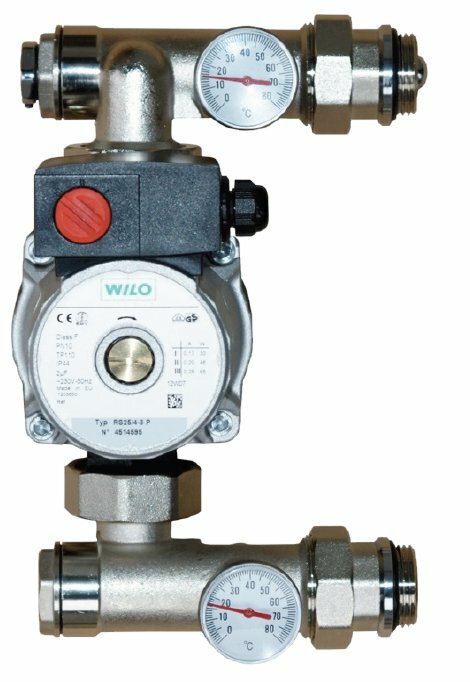 The module was used a circulating pump Wilo RS-25/6-3 KU. 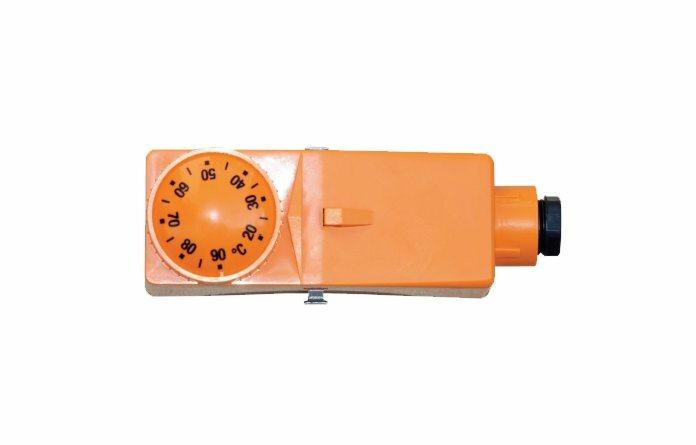 Complemented the module is a package of thermostatic by-pass and the thermostat strap. Universla spacing of 210 mm facilitates the assembly with any manifold.